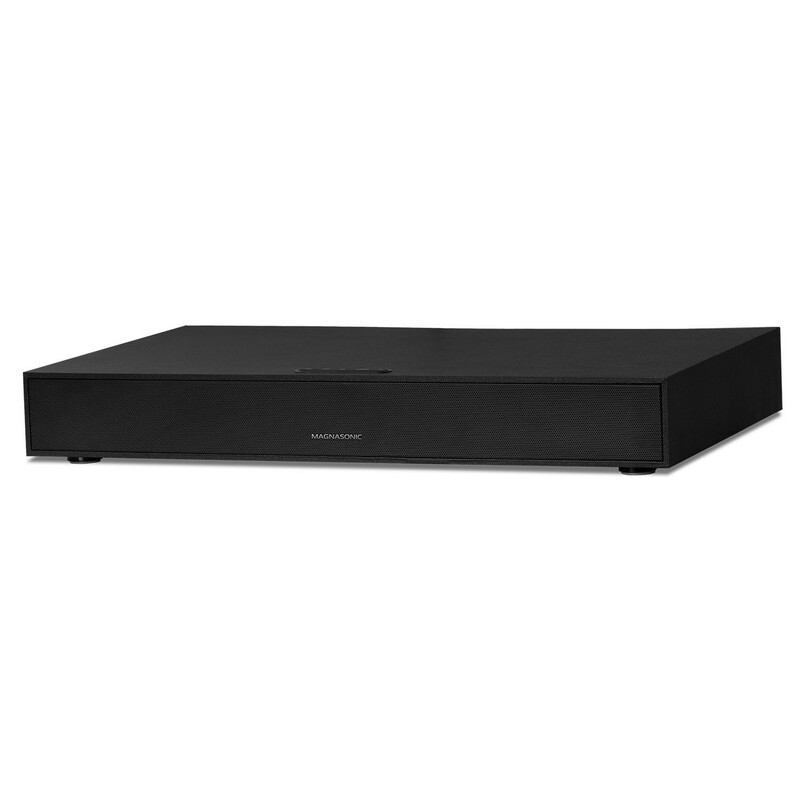 The Magnasonic Soundbase is the perfect solution for those in need of big theater performance without the space for a large surround sound system. 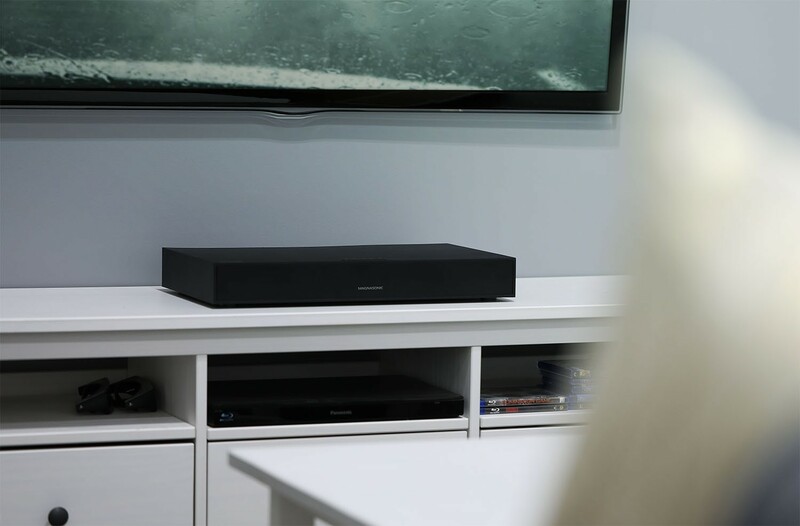 The SB41 is designed to fit right under your TV (up to 110lbs/50 kg) and provides superior audio quality for a truly immersive listening experience. 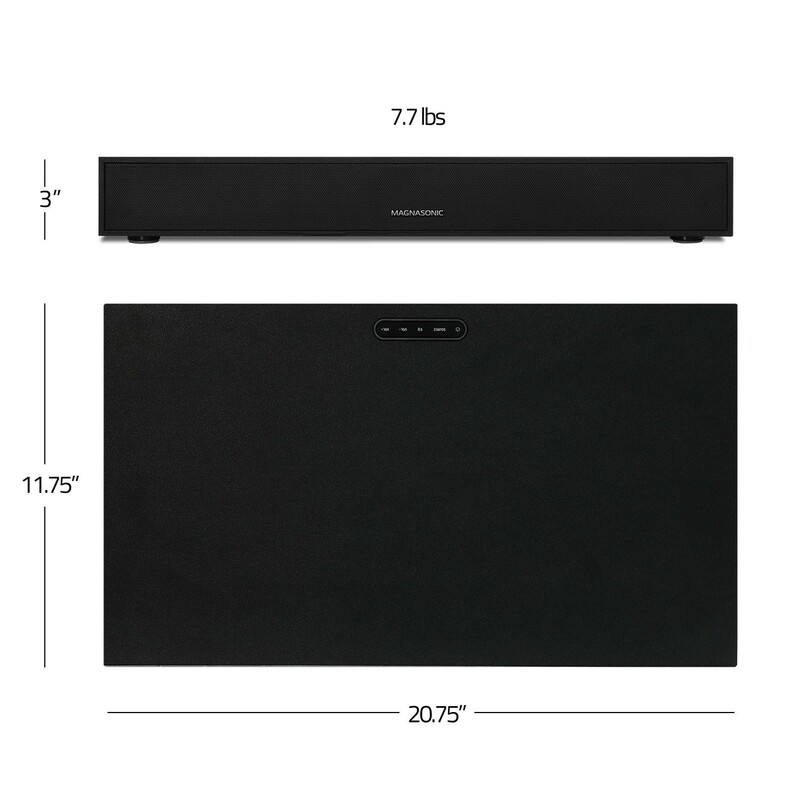 No need to purchase large standing speakers, or trip over the extra wiring that comes with complicated sound systems. The Magnasonic SB41 is 2.1 channel and offers 60 watts of room-filling full digital sound. It’s compact size is great for the living room, gaming room, or bedroom. Easily connect through HDMI ARC, AUX or wirelessly via Bluetooth. Even use your USB stick to playback your favorite music. To ensure you’re getting the best audio experience, choose from three different equalizers (EQ) settings including Vocal, Movie, and Music. HDMI ARC (Audio Return Channel) Is an HDMI Audio Output connection found on many current televisions. This feature allows you to connect your TV directly to your soundbar using HDMI so any source device such as a Blu-Ray Player connected to the TV will send sound to the soundbase through the digital HDMI connection. 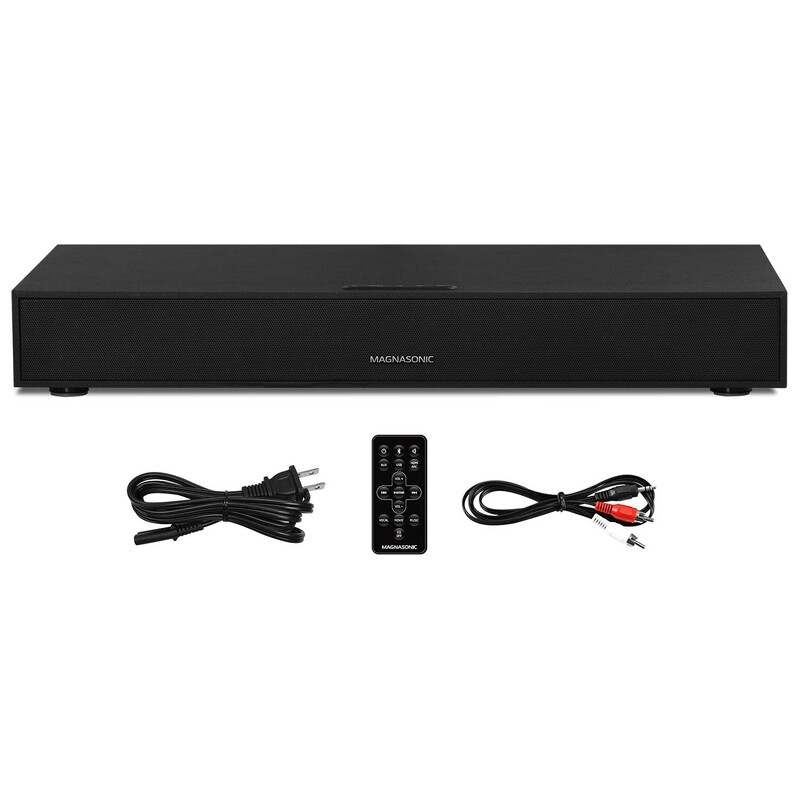 The result is higher quality audio and easy set up for any devices connected to your TV! The Magnasonic SB41 includes Bluetooth, 3.5mm auxiliary, HDMI ARC, and USB input which supports playback from USB thumb drives up to 32GB. The cabinet of the SB41 is made using MDF (medium density fiberboard). 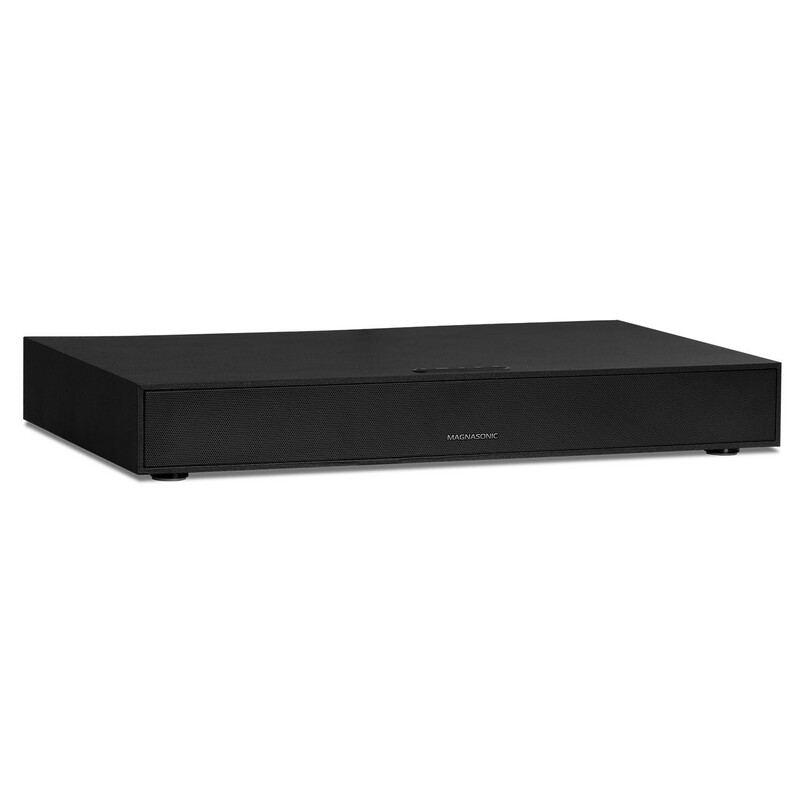 This gives the SB41 a much warmer sound profile over materials like metal or plastic!